This new series started in volume 11 of Weekly Shonen Jump. Editors have very high expectations of this series as it was announced earlier this week that it will also star in SHONEN JUMP (US). But have the editors overrated this series like they did with Sensei no Bulge (Barrage)? 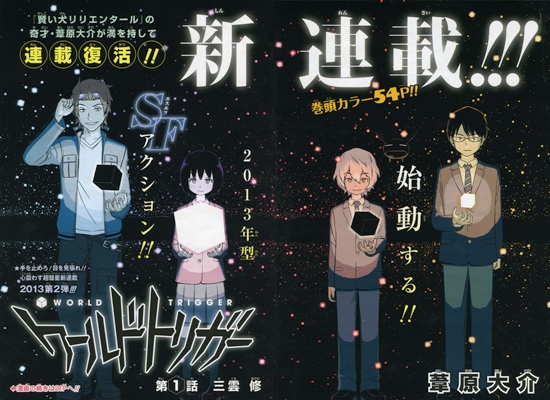 Will this series get cancelled early, like Ashihara-Sensei's previous work (Kashikoi Inu Rilientha)? Or have they truly promoted a series that has the potential of becoming a hit? We will have to wait and see.